Can Families Seek Justice? Cassieam Hicks, Danny Cancel Killed, 1 Injured in Allentown Gas Station Shooting. Gunfire erupted outside an Allentown gas station Wednesday morning, February 28, 2018, reportedly claiming the lives of 28-year-old Cassieam Hicks and 36-year-old Danny Cancel. 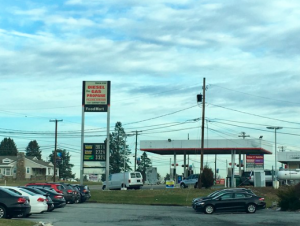 According to Lehigh Valley Live, the shooting occurred “at the 1227 Airport Road gas station,” shortly after 1:00 a.m. A gas station employee apparently told ABC 6 “the shots were fired in two locations near the gas pumps and inside the convenience store.” Tragically, Mr. Hicks and Mr. Cancel succumbed to fatal injuries. A third victim was transported to the hospital with “critical” injuries. His current condition has not been released. Did negligent security contribute to this senseless loss? We represent individuals and families who have suffered a tragic loss or injury as a consequence of negligent property security. 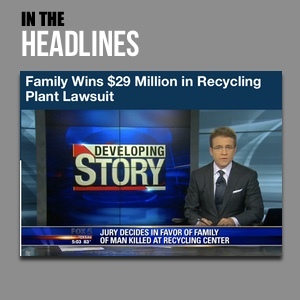 Read Our Legal Take below to find out if the victims’ families may have a legal avenue for justice and claims for substantial compensation in Pennsylvania, or call now for a free consultation with our legal team: 888.842.1616. Have there been prior incidents of violence on or near property? What security measures, such as clear windows, surveillance cameras, bright lighting, and security patrols, were in place to deter crime and protect patrons at the time of the shooting? Generally, property owners are required to protect all those legally on the premises from any foreseeable harm. Should the facts of this matter reveal that the gas station owner failed to provide adequate security to protect those on its premises, the families of Cassieam Hicks and Danny Cancel may seek justice and elect to pursue legal claims for their wrongful deaths. Additionally, the third victim of this shooting may pursue legal claims for his injuries.